Once again the landscape team from O’Brien’s find themselves front and centre of the yet another world class project in Ireland. Having stalled as a consequence of the recession, works on the ambitious Greystones Harbour project commenced again late last year. The €300 million scheme includes 350 new homes, a 200 berth marina, a coastguard station, a new town square, a 16-acre public park, a new beach and marine-related shops and leisure facilities. 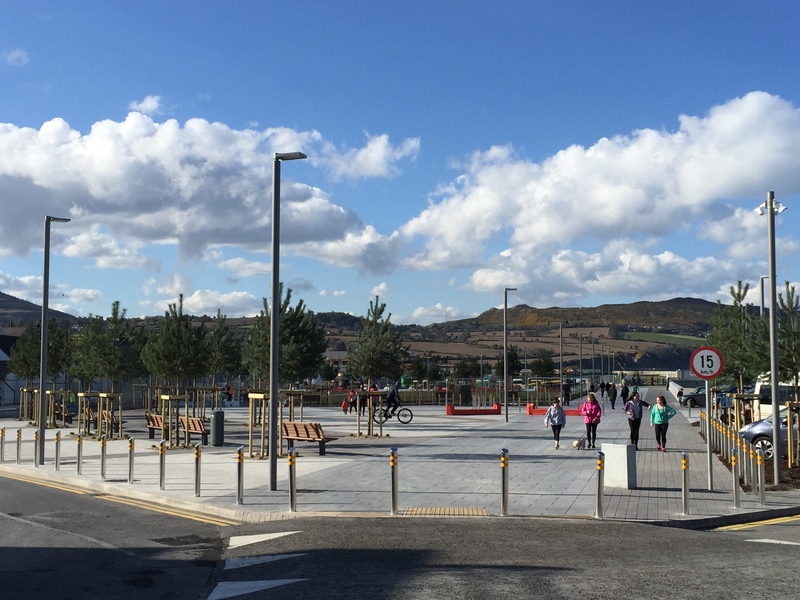 The current works completed by the O’Brien’s team include extensive paving and tree planting for the public plaza, the open space at the harbour as well as a new car park. “There is real satisfaction being involved in such high profile projects. As a team we love creating public spaces of the highest quality knowing the enjoyment they will provide for generations,” says O’Brien’s Director, Peter O’Toole. “It’s well worth a trip out to see the scheme. And while you’re there, drop down to see the amazing works we completed on the award winning Dun Laoghaire Library”.